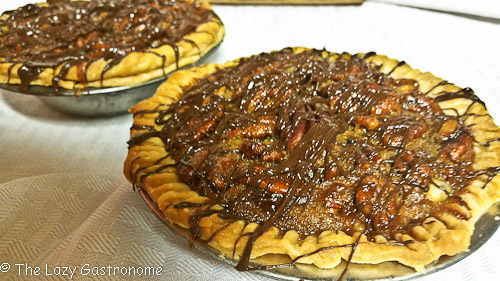 My mother loved pecan pie, but we rarely had it because no one made it. 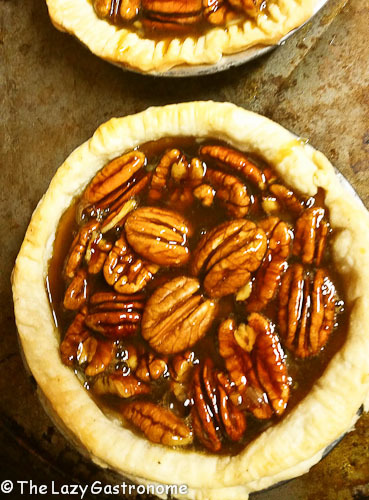 I learned later in life not only to make the pie, but to really enjoy the rich, dark and sugary filling that surrounds the sweet and nutty pecans. I hope you enjoy! 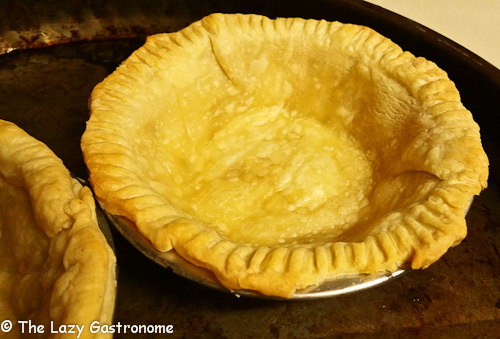 Lay the tart pans upside down on the sheet of pie crust. Cut around the edges adding about 1 inch (so the circle is bigger than the pan). Turn the pan over, place the crust inside and gently press to fit. Use a fork to crimp around the edges. Repeat with the other three small pie pans. 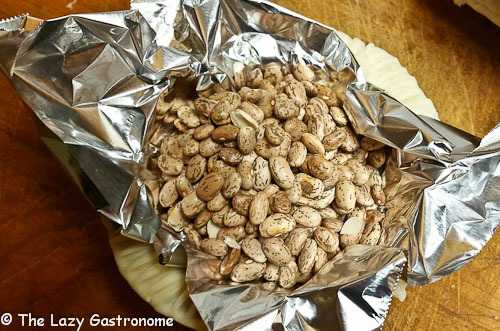 Put some foil in the pan and top it with some beans to weigh the dough while cooking and keep it from bubbling. Preheat the oven to 325 degrees and bake for about 15 minutes, just before the edges begin to brown. Meanwhile, bring the first four ingredients to a boil in a medium saucepan. 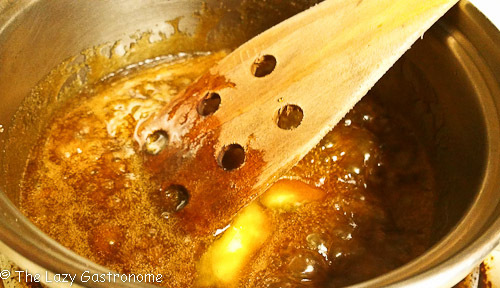 Once it boils, turn the heat to medium-low and simmer for about 5 minutes, until the sugar starts to melt. 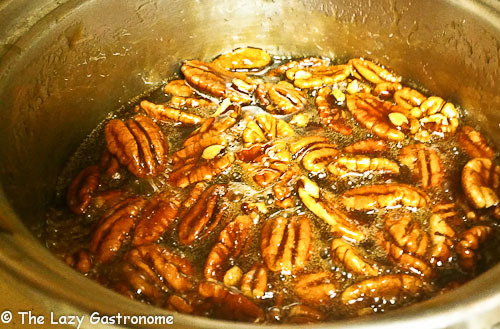 Next, stir in the vanilla and the pecans and gently simmer for another 3-4 minutes. Remove from heat and let cool slightly. 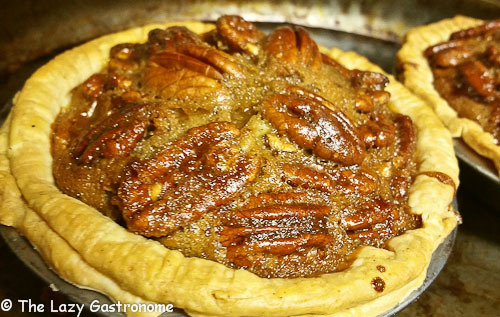 After the sugar and pecans are cooled, quickly beat in the eggs and bourbon until they are fully incorporated. Pour ¼ of the mixture into each pie shell. Place on a cookie sheet and bake at 325 degrees for about 30-45 minutes. The interior of the pie will rise a little and a knife will come out clean when inserted in the middle when the pies are done. Melt the chocolate chips – you can use the microwave, but stir it often and be careful not to burn them! 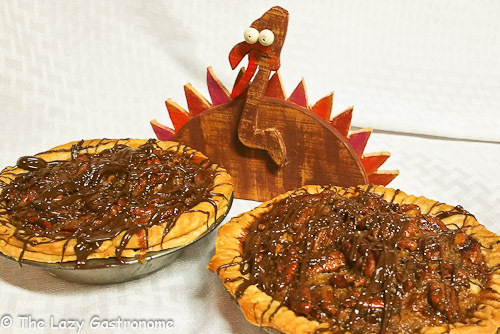 Using a spoon, go back and forth quickly with the melted chocolate to make lines across the top of the pies. 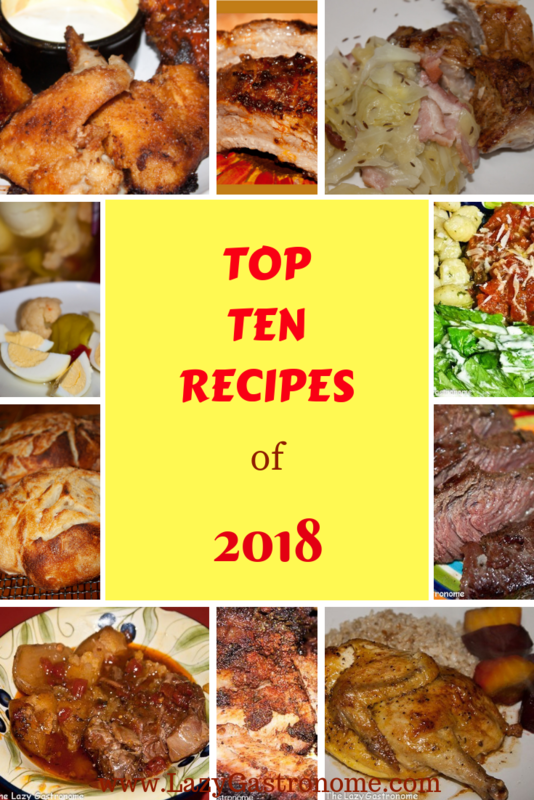 This entry was posted in Holidays, Sweet Treats, Thanksgiving and tagged dessert, pecan, pecan pie, pie, southern, thanksgiving. Bookmark the permalink. 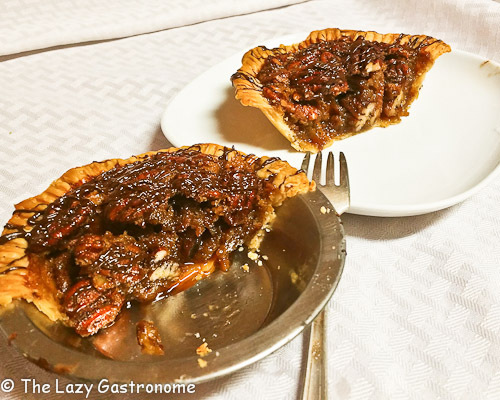 Mini pecan pies would be a good idea for me so I would eat less, maybe… Thanks for sharing with us on the #HomeMattersParty I hope you will join us again next week.